These 22 Why stories from the Blackfeet, Chippewa, and Cree tribes were handed down from father to son, with little variation, through countless generations, until the white man slaughtered the buffalo, took to himself the open country, and left the red man little better than a beggar. But the tribal story-teller has passed, and only here and there is to be found a patriarch who loves the legends of other days. 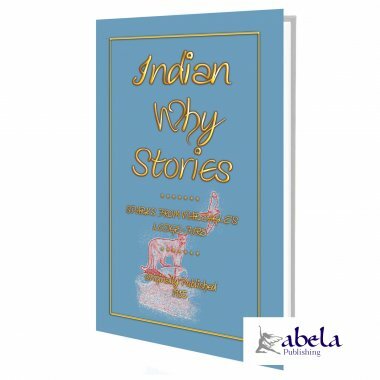 This book is an attempt to ensure that these memories are forever on record and never lost to future generations. Old-man, or Napa, as he is called by the tribes of Blackfeet, is the strangest character in Indian folk-lore. Sometimes he appears as a god or creator, and again as a fool, a thief, or a clown.  But to the Indian, Napa is not the Deity; he occupies a somewhat subordinate position, possessing many attributes which have sometimes caused him to be confounded with Manitou, himself. 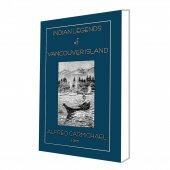 This volume was written and recorded in a time when the great Northwest was rapidly becoming a settled country. 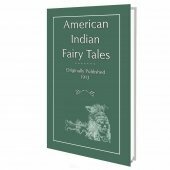 With the passing of the traditional ways of the Indian much of the Americas aboriginal folk-lore, rich in its fairy-like characters, and its relation to the lives of its native people has been lost. There is a wide difference between folk-lore of the so-called Old World and that of America. 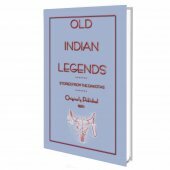 Transmitted orally through countless generations, the folk-stories of our European ancestors show many evidences of distortion and of change in material particulars; but the Indian seems to have been too fond of nature and too proud of tradition to have forgotten or changed the teachings of his forefathers. Childlike in simplicity, beginning with creation itself, and reaching to the whys and wherefores of nature's moods and eccentricities, these tales impress as being well worth saving. So enter unhindered, sit and listen until the hour grows late, while on the lodge-wall the dying fire makes the warning shadows dance. 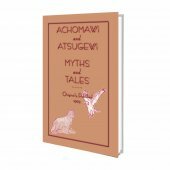 33% of the net sale will be donated to the American Indian Education Foundation for scholarships. Once Upon a Time THERE had been a sudden change in the weather. A cold rain was falling, and the night comes early when the clouds hang low. The children loved a bright fire, and to-night War Eagle's lodge was light as day. Away off on the plains a wolf was howling, and the rain pattered upon the lodge as though it never intended to quit. It was a splendid night for story-telling, and War Eagle filled and lighted the great stone pipe, while the children made themselves comfortable about the fire. A spark sprang from the burning sticks, and fell upon Fine Bow's bare leg. They all laughed heartily at the boy's antics to rid himself of the burning coal; and as soon as the laughing ceased War Eagle laid aside the pipe. An Indian's pipe is large to look at, but holds little tobacco. "Some day I will tell you a story about them, and how they drew the arrows of our enemies, but to-night I am going to tell you of the great fire-leggings. "It was long before there were men and women on the world, but my grandfather told me what I shall now tell you. "Then the bush-birds began to sing the song of the morning, and from alders the Robins joined, until all live things were awakened by the great music. Where the tall ferns grew, the Doe waked her Fawns, and taught them to do homage to the Great Light. In the creeks, where the water was still and clear, and where throughout the day, like a delicate damaskeen, the shadows of leaves that overhang would lie, the Speckled Trout broke the surface of the pool in his gladness of the coming day. Pine-squirrels chattered gayly, and loudly proclaimed what the wind had told; and all the shadows were preparing for a great journey to the Sand Hills, where the ghost-people dwell. "Rubbing his eyes in anger, Old-man sat up and saw the Sun coming -- his hunting leggings slipping through the thickets -- setting them afire, till all the Deer and Elk ran out and sought new places to hide. "Old-man was glad in his heart, for he was lazy, and now he thought he could kill the game without much work, and that he could be a great hunter -- as great as the Sun. He put on the leggings and at once began to hunt the thickets, for he was hungry. Very soon the leggings began to burn his legs. The faster he travelled the hotter they grew, until in pain he cried out to the Sun to come and take back his leggings; but the Sun would not hear him. On and on Old-man ran. Faster and faster he flew through the country, setting fire to the brush and grass as he passed. Finally he came to a great river, and jumped in. Sizzzzzzz -- the water said, when Old-man's legs touched it. It cried out, as it does when it is sprinkled upon hot stones in the sweat-lodge, for the leggings were very hot. But standing in the cool water Old-man took off the leggings and threw them out upon the shore, where the Sun found them later in the day. "The Sun's clothes were too big for Old-man, and his work too great. "We should never ask to do the things which Manitou did not intend us to do. If we keep this always in mind we shall never get into trouble. "Be yourselves always. That is what Manitou intended. Never blame the Wolf for what he does. He was made to do such things. Now I want you to go to your fathers' lodges and sleep. To-morrow night I will tell you why there are so many snakes in the world. Ho!" HOW THE OTTER SKIN BECAME GREAT "MEDICINE"